« (Français) Webinaire national : Pour des GRE (groupes-ressource d’employés) encore plus inclusifs ! 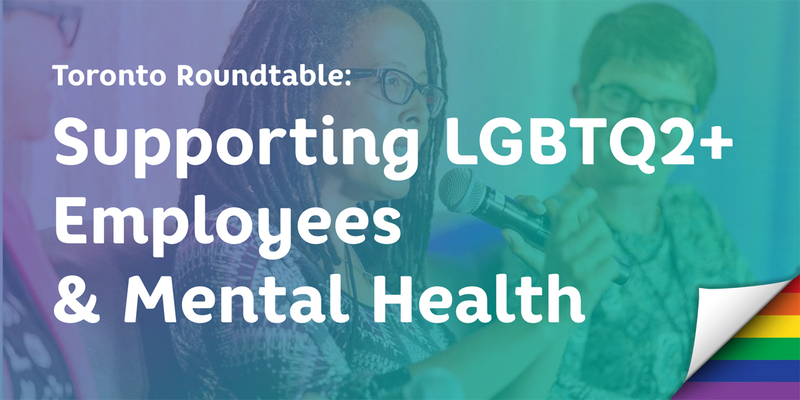 There is ample evidence that LGBTQ2+ people are at higher risk of poor mental health outcomes than other employees. Pride at Work Canada, Adaptability Canada and the Inclusive Workplace and Supply Council of Canada invite representatives from its network of National and Regional Partners to this roundtable conversation hosted by the Investment Industry Regulatory Organization of Canada (IIROC) where we will discuss best practices in this sometimes complicated space. April 10th is also the Day of Pink, so all are encouraged to wear pink to raise awareness of homophobic, biphobic, and transphobic bullying. To register (up to two registrants per employer) please contact Jade Pichette at jade.pichette@prideatwork.ca no later than Thursday, April 4, 2019.